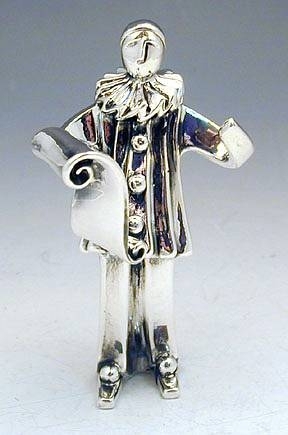 Sterling Silver Clown Miniature, Great artisan sterling silver (NOT silver plated) Purim clown miniature, Judaica. 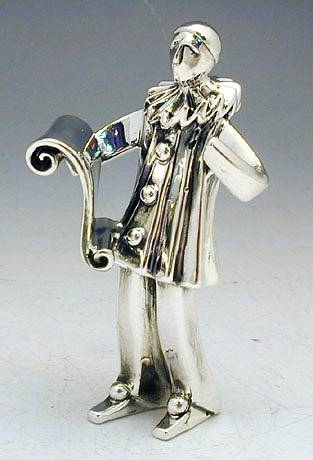 Superbly executed as an highly detailed Purim clown in a standing posture reading the Esther scroll. This item was made in the electroforming method. Measurements: Height: 9.9cm. / 3.9in. Weight: 38gr. / 1.2oz. Marks: 925 for sterling silver.